Fire is as much a part of the northern Rocky Mountain ecosystem as lodgepole pine trees or mule deer. It creates a mosaic of landscapes with plants of varying ages and a variety of habitats for wildlife. It clears out dead plant matter and returns nutrients to the soil. Fire’s renewing role is so important in the Intermountain West that land managers allow wildfires to burn in areas where fire won’t threaten life or property. The Red Rock fire, shown here, is one such natural wildfire. 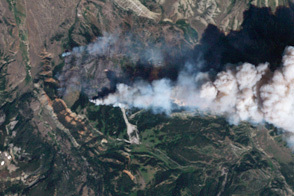 The Red Rock fire was discovered in the Gros Ventre Wilderness on August 20, 2011, and by August 31, had burned 7,048 acres. 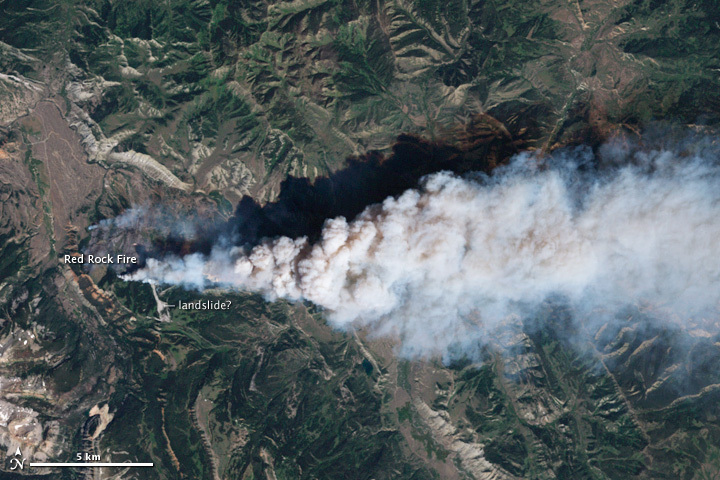 The Landsat-5 satellite acquired this image on August 23, the fire’s most active day to date. 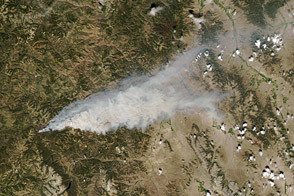 The fire burned 2,957 acres on August 23, nearly doubling its size and producing the dense plume of smoke shown in this image. Lightning ignited the fire in dense conifer forest. Infested by insects, the forest contained many dead trees, both standing and on the ground. Fire hazard rises two to three years after a forest is infected with insects, when trees die and dry out, turning red. The fire hazard increases more once the dead, dry trees start to fall. As of 2010, insect infestations, particularly pine bark beetles, have spread through more than four million acres of forest in the western United States. Fire is one way to regenerate sections of the forest after an outbreak. The Red Rock Fire is burning in the back country and should help clear out the damaged forest to improve habitat for bighorn sheep, mule deer, and elk. Such habitat is crucial because the Gros Ventre Wilderness Area borders the National Elk Refuge and is an important calving area for the native elk herd. Located east of Grand Teton National Park in Wyoming, Gros Ventre is part of the Yellowstone ecosystem. As the image shows, the wilderness contains a mix of landscapes ranging from meadows, which are pale green, to lodgepole or ponderosa pine forests, which are dark green. An array of exposed rocks—gray ridgelines of limestone, cliffs of red shale and pink sandstone, and brown till (rock debris) left by glaciers—surround the fire. The Gros Ventre range is extremely prone to landslides, and the pale strip of gray south of the smoke plume appears to be a landslide. 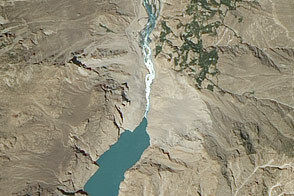 NASA Earth Observatory image by Robert Simmon, using Landsat 5 data from the USGS Global Visualization Viewer. Caption by Holli Riebeek. 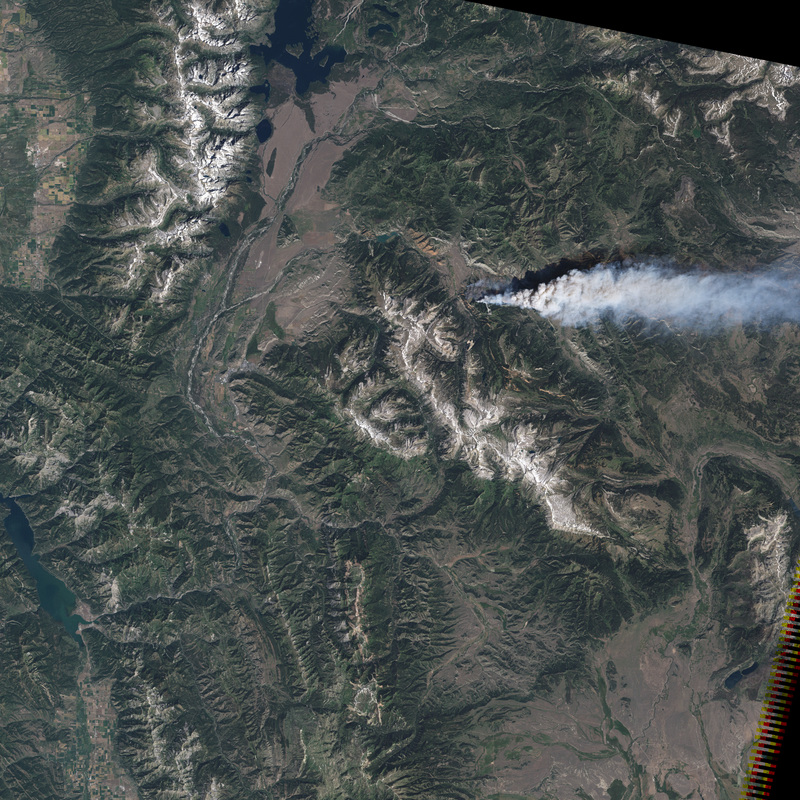 Smoke billows over the mountainous backcountry near Jackson Hole, Wyoming, in this image from August 23, 2011. Started by lightning, the wildfire is burning through insect-damaged forest, beginning the process that will renew the ecosystem. Lightning storms ignited a series of fires in Wyoming and Montana in mid-August 2011. 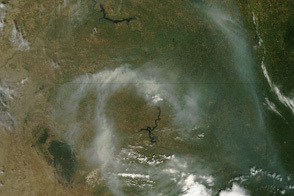 The fires blanketed the Upper Midwest with smoke. Greater Yellowstone Science Learning Center. (2009, March 19). Fire ecology and effects. Accessed August 31, 2011. InciWeb. (2011, August 31). Red Rock Fire. Love, J.D. and Love, J.M. (1988). Geologic road log of the Gros Ventre River Valley including the lower Gros Ventre slide. (pdf) The Geological Survey of Wyoming. Accessed August 31, 2011. Teton Interagency Fire. 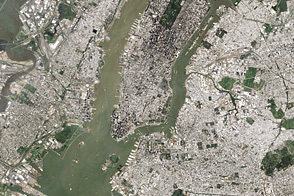 (2011, August 30). 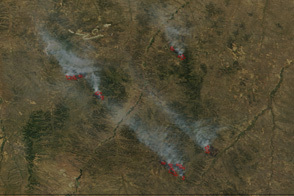 2011 wildland fires. Accessed August 31, 2011. United States Department of Agriculture Forest Service. (n.d.) Rocky Mountain Bark Beetle. Accessed August 31, 2011. Wilderness.net (n.d.) Gros Ventre Wilderness. Accessed August 31, 2011.